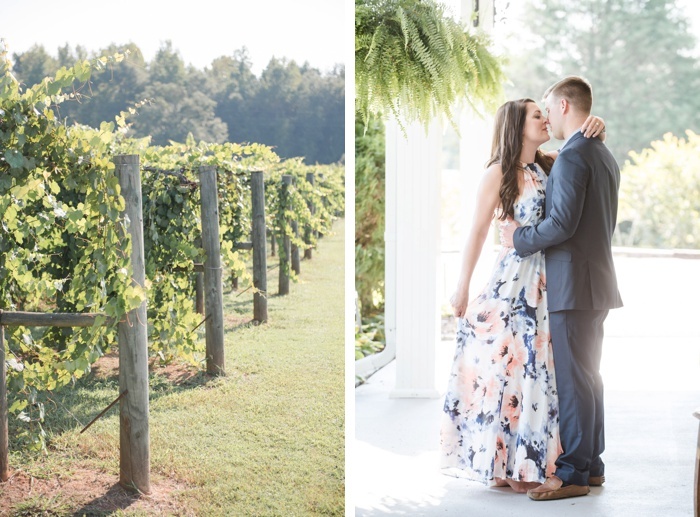 Kelli & Daniel Taylor Photography had such a blast photographing Kendal and Jesse during their engagement at Morgan Creek Winery in Harpersville, Ala.
Jesse is an EMT/firefighter and Kendal has her own wedding planning company, Kendal Perry: A Wedding Planning Studio. 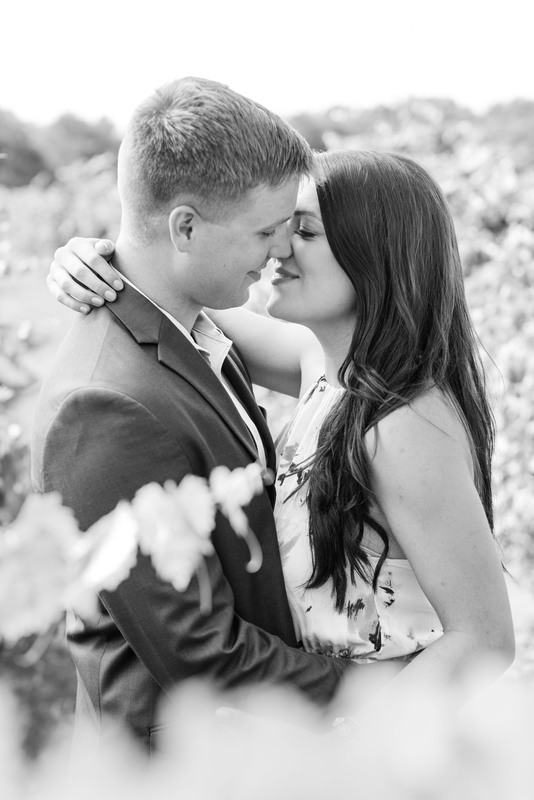 Needless to say, with all the great photographers she’s worked with, we are over the moon to be part of their big day. We’ve had the pleasure of working side-by-side with Kendal, and she is just terrific. 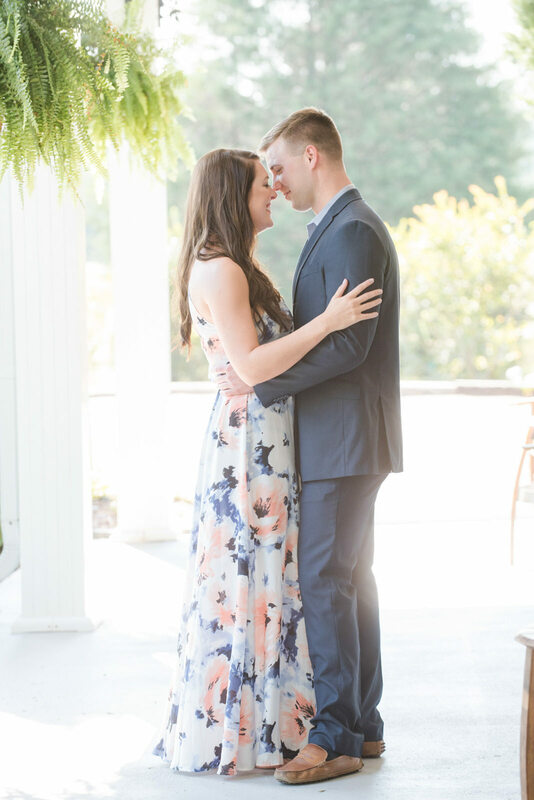 Have we mentioned lately how much brides needs planners and coordinators? 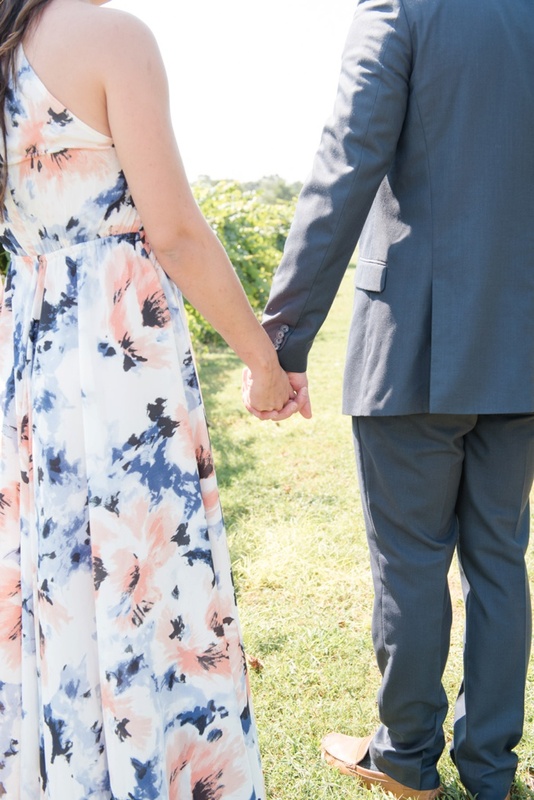 They are one of the very best investments you can make in your wedding. 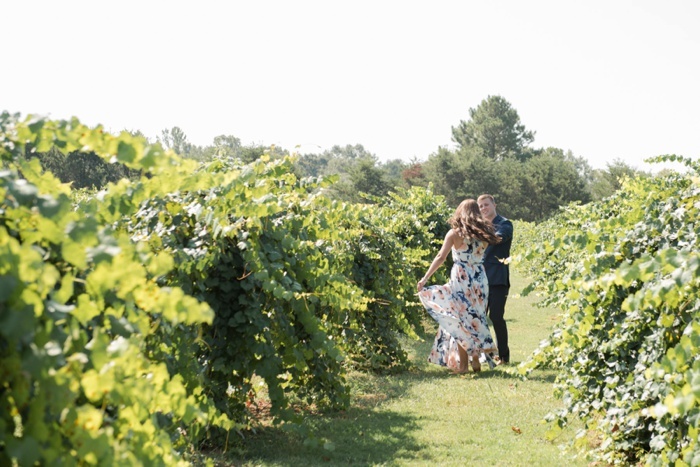 We couldn’t think of a more romantic location for these two than an engagement at Morgan Creek Winery. The vineyard leaves are just starting to change colors, but no matter what time of year, it’s always a stunning place to visit. We’re so appreciative of the entire Morgan Creek team for hosting us. Special thanks also to the oh-so-talented Melissa Moore Bogardus for Kendal’s gorgeous hair and make-up. 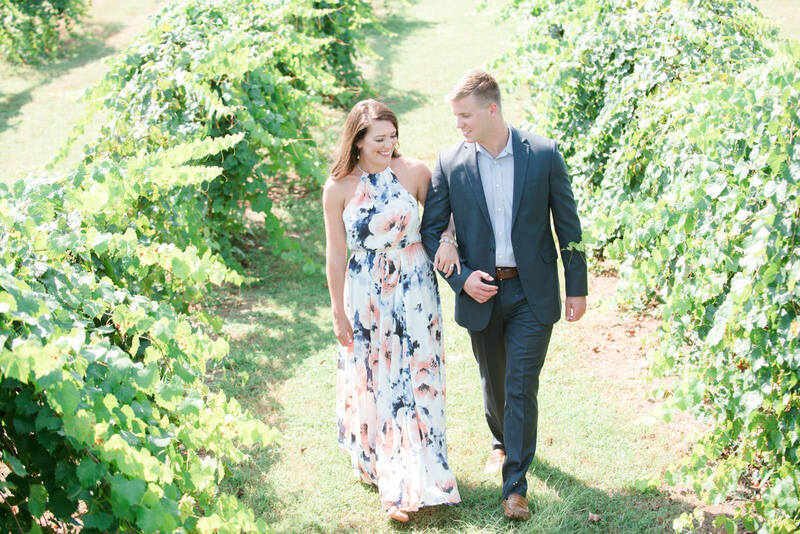 If you’re looking for tips on how to dress for your engagement photos, take your cues from Kendal and Jesse. We strategized over wardrobe for several days, making sure we had great colors for the site, as well as a special, romantic feel that translated well into the camera. 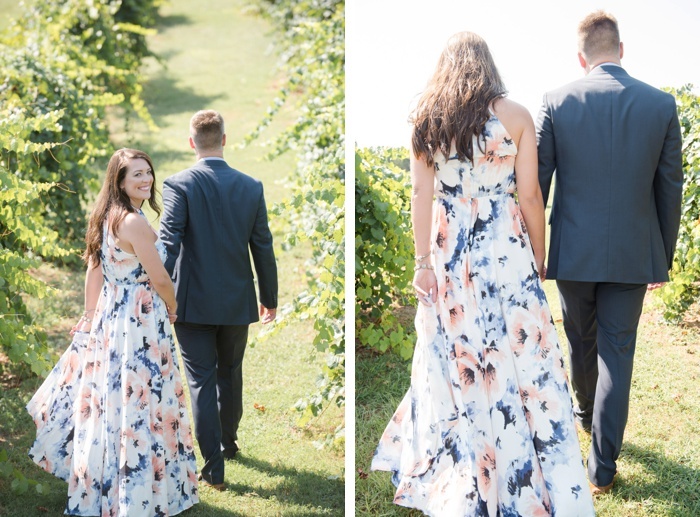 We also wanted to make sure their choices went together, but weren’t too matchy matchy. We think they nailed it, y’all! Thank you, Kendal and Jesse, for getting us, and for inviting us be part of such a special chapter in your lives.